Will Power leads the field at the start of the Verizon IndyCar Series Firestone 600 at Texas Motor Speedway on June 7, 2014 in Fort Worth, Texas. As Hulman & Company CEO Mark Miles continues to finalize the 2015 Verizon IndyCar Series schedule for the end of this month, it has created a lot of debate among fans who would like to see the series return to some past venues. Such tracks as Road America, WI; Chicagoland Speedway in IL; Phoenix International Raceway, Michigan International Speedway, Laguna-Seca Raceway in Monterey, Calif. and even the spectacular Circuit of the Americas (COTA) in Austin are popular choices. Miles has heard those endorsements but explained to FOXSports.com that, while those are all fine racing venues, they may not make sense to add to the Verizon IndyCar Series schedule. Take COTA for example. 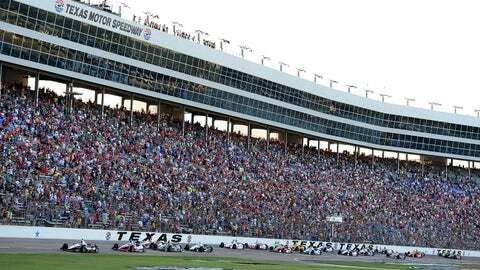 Texas Motor Speedway has been a loyal supporter of IndyCar since the 1.5-mile oval staged its first IndyCar race in June 1997. Since that time, only the Indianapolis Motor Speedway and TMS have held a race on the IndyCar schedule. Gossage believes a race in Austin, Texas would infringe upon his territory. 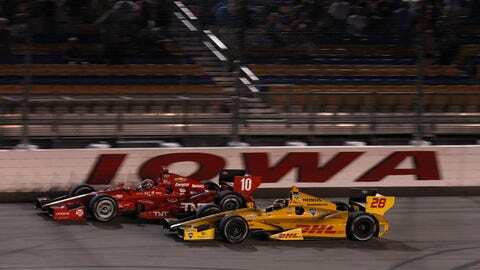 “It’s not just a question for Eddie although Texas Motor Speedway has been an important part of IndyCar for a very long time and we would like it to continue to be,” Miles said. “But it’s also this question: How many races should you have in the same region? The man on the other end of the line is Gossage, who believes that Texas Motor Speedway has proven its loyalty to the IndyCar Series. “And I understand – he has sponsors and the like so there is just nothing constructive in me talking about that,” Miles said. The same can be said for the spectacular and historic road course at Elkhart Lakes, Wisconsin. 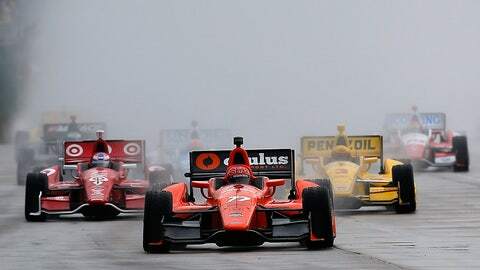 It’s just a short drive from Milwaukee, where IndyCar is trying to re-establish its link to The Milwaukee Mile. The IndyCar Series schedule is already heavy on street and road course races and needs to protect what few ovals it already has on the schedule. Miles believes it goes even deeper than that. “I think it starts with the discussion of total number of races you want to have,” Miles explained. “The sense in our paddock from our discussion with the teams is the number of races we have right now is about right. Maybe it could be one or two more but there is an economic limit to the number of races at least for now. If we got the television ratings up enough to drive sponsorship levels higher than the number of races could increase. But for now we are about the right number. So the first thing people have to think about is if we are going to add a race now we have to take one out. We try to be good partners and doesn’t mean we wouldn’t do that but we wouldn’t do that lightly. Elkhart Lake, Laguna Seca and the Cleveland Grand Prix were all popular events on the old CART/Champ Car Series schedules but Miles understands IndyCar already has the Mid-Ohio Sport Car Course about 100 miles from Cleveland and Sonoma is within the same area as Laguna Seca. Elkhart Lake would be the addition of yet another race in the same proximity of the country. “You have Iowa, Detroit, Indianapolis (IMS road course), Indianapolis (Indy 500), Milwaukee – those are Midwest and that’s a big percentage of our audience,” Miles said. “How many races are you going to have? How many are you going to have in any region? If you are not going to grow the number of races you don’t just have the latitude to race anywhere that somebody wants to put a race on. “Road America — that might be a consideration but we haven’t heard anything from the Milwaukee folks (like) ‘Oh My God, if you do that, you’re going to kill us.’ It’s more a question of what date makes sense given the events they already have and when we are going to end our year and from a market perspective if it makes sense to have two of our limited number of events in the same state and another one in the Midwest. Miles admitted IndyCar was prepared to continue with the Baltimore Grand Prix, but the city would have to move the date every year because of uncertainty over the schedules of baseball’s Baltimore Orioles and the NFL’s Baltimore Ravens. The street course winds around both Orioles Park at Camden Yards and M&T Bank Stadium – the home of the Ravens. Currently, IndyCar has just one race on its schedule at an International Speedway Corporation (ISC) facility and that is Auto Club Speedway in Fontana, California. Next year’s race will move from the final race of the season into June. There used to be lots of ISC venues on the IndyCar schedule but when Randy Bernard was the CEO of INDYCAR he didn’t believe those tracks properly promoted the series and that was the reason for the small crowds. Chicagoland, Michigan, Phoenix are all ISC ovals that some fans would like to see host IndyCar races again but only one of those three has a decent chance. “Do you want to be in Michigan when you are already at Detroit? Do you want to be in Chicago when you are in Milwaukee, and oh, by the way, it’s not Chicago?” Miles asked. “And then you can add to that, will it be a vibrant event? These are questions. At Chicagoland, of course we could have a great race in terms of cars on the track but empty seats don’t make a good backdrop on TV. “We are interested in being in Phoenix. That’s a big city, a big market, great racing history and we are nowhere around there, with any of our races, really. Then we have to figure out if there is a date that works and if it can be a vibrant event. So they are all different. Be sure to catch Bruce Martin’s Honda IndyCar Report on RACEDAY on FOX Sports Radio every Sunday from 6-8 a.m. ET.